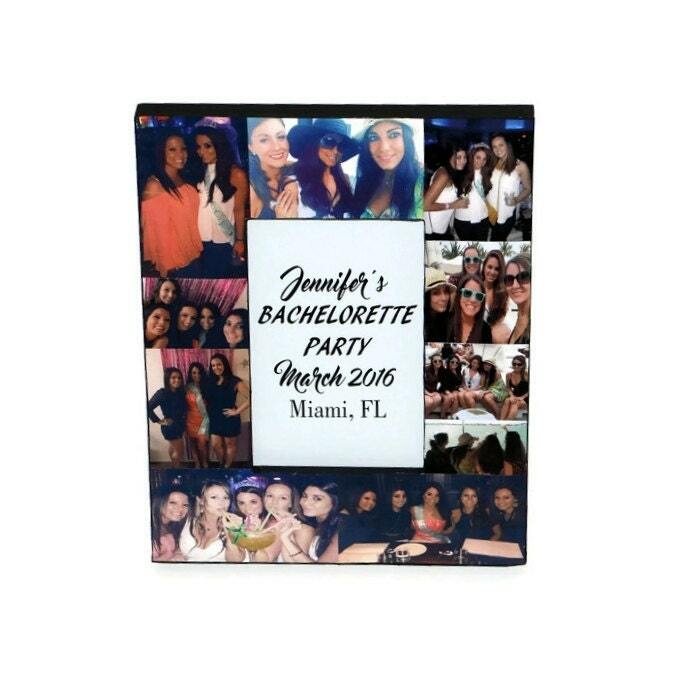 Customized photo frames for any occasion; are perfect gifts for the Bride to be, maid of honor, Bridesmaids, any family member, mom, dad, sister, brother, grandma, aunt, best friend, perfect gift for Boyfriends and Girlfriends. Some more ideas; photo of ultrasound in the middle and photos of each month for baby's first birthday, give to a coach with the team in the center and all the action photos surrounding it. 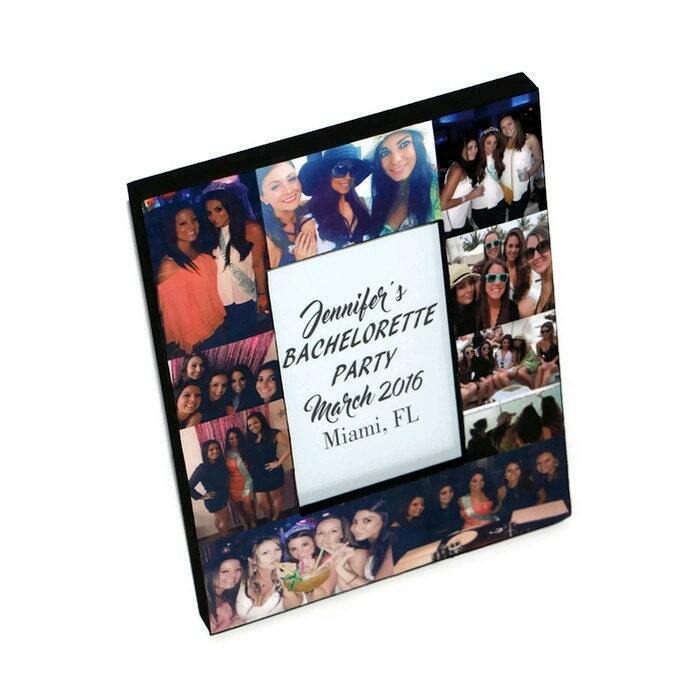 *The entire "4x6" photo frame measures 7.5" x 9.5" x .75". The place where the middle photo goes measures 3.5" x 5,5"
*The entire "5x7" photo frame measures 8.5" x 10.5" x .75" The place where the middle photo goes measures 4.5" x 6.5"
*The entire "8x10" photo frame measures 11.5" x 13.5" x .75" The place where the middle photo goes measures 7.5" x 9.5"
* Frame is made of think durable craft wood and the frame itself could painted any colors your choose or can be left natural wood. • Everything is handmade in my home at my dining room table. Don’t know what to get the person who has everything? 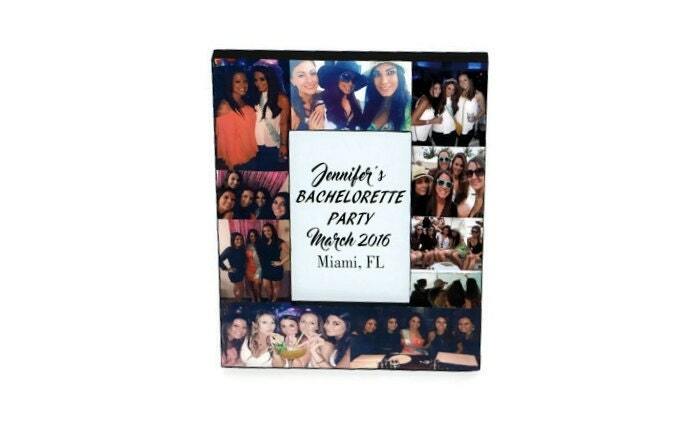 Get them something that has a personalized touch of their own life a custom photo frame collage. 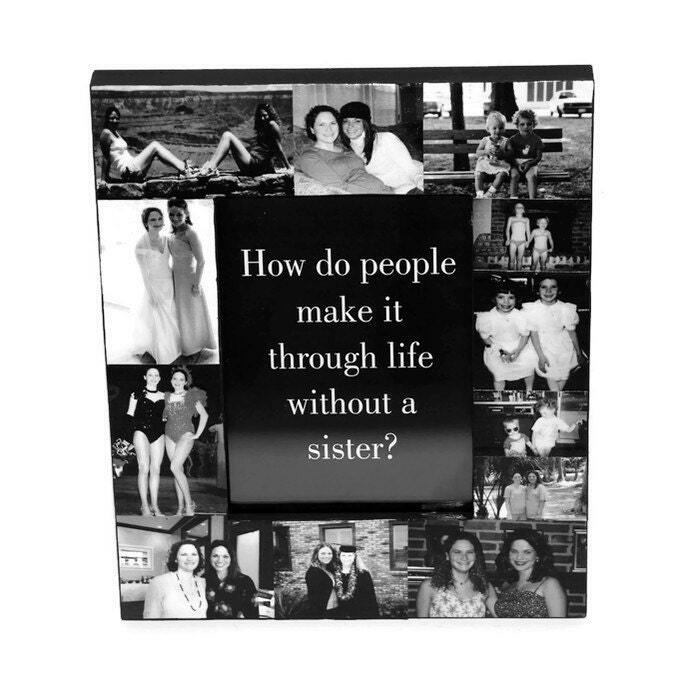 It is sure to be a conversational piece in the home or office. 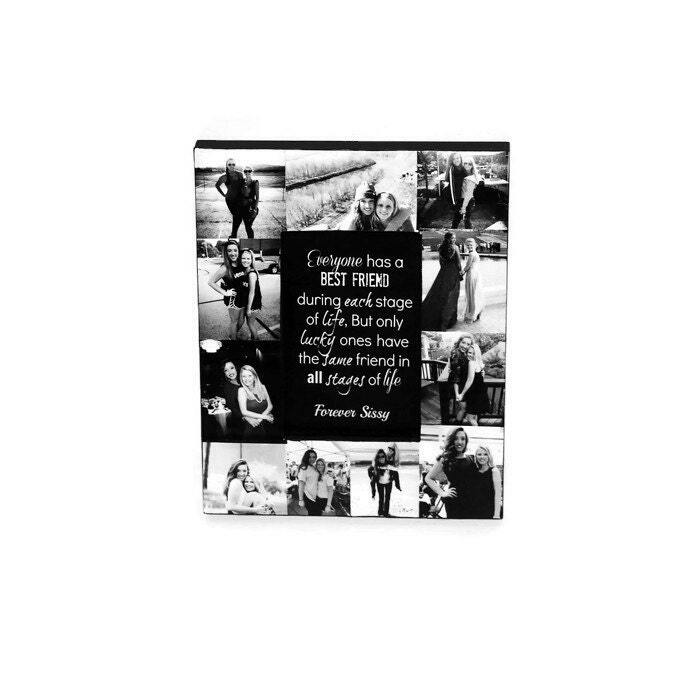 If you have any questions about the process please convo me and request and custom order.